Zenni pioneered the online eyewear business in 2003 to make premium eyewear affordable and accessible to everyone. Zenni offers men, women and children the freedom to express their personal style and individuality through high-quality prescription glasses and sunglasses while redefining the pricing model. With an average price of $40 for its curated collections and thousands of frames, Zenni has sold nearly 25 million pairs of glasses since its founding. "The Chicago Bulls jersey is one of the most iconic in the NBA and recognized across the globe, so it was important for us to be methodical and intentional in our search for a jersey patch partner. This kind of partnership unites two brands in very substantial and visible ways, meaning that who we choose to partner with will represent so much of who we are as a team and signals to our fans what we stand for. In our search, we put a high priority on partnering with a company that shares many of the Bulls' values. 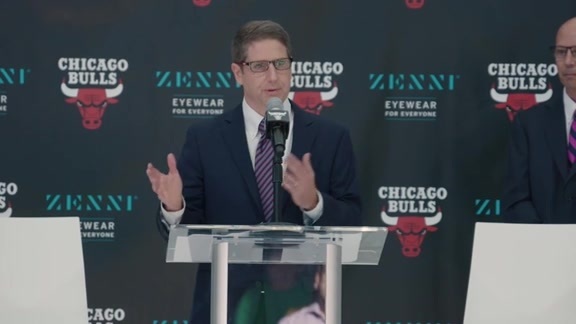 Once we started our conversations with Zenni's co-founder Julia Zhen and everyone at the company, it was quickly evident to us that they also place great importance on community and family, and for those reasons and many more we are excited to officially welcome Zenni into our Bulls family," said Michael Reinsdorf, Bulls President and COO. Beginning with the 2018-19 season, Zenni's brand logo will be sewn onto the left breast of all editions of the Chicago Bulls jerseys, which will debut on Thursday, Oct. 18 when the team visits the Philadelphia 76ers for their season opener. 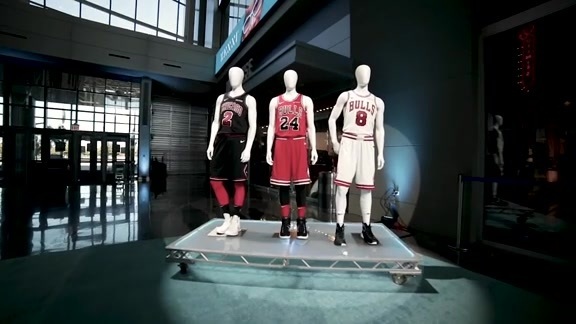 The jersey will make its first home court appearance at the United Center on Saturday, Oct. 20 when the Bulls host the Detroit Pistons. 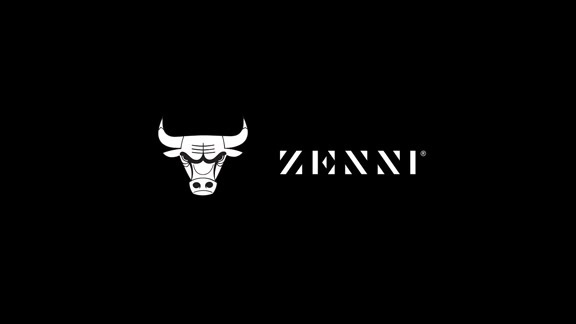 "The entire Zenni team couldn't be more ecstatic to become the Chicago Bulls most visible partner. The Bulls brand is iconic and global and Zenni aspires to have that same domestic and international relevance someday. We know this will be a significant step to creating awareness that eyewear, especially prescription glasses, can be affordable, high quality and stylish at the same time. We're excited about amplifying our brand in the Chicago market and beyond wherever the Bulls are being seen around the world. We already have one million existing customers in the Chicagoland area and look forward to engaging many more through our partnership. The opportunity to educate on the need for eye protection before correction will be a key initiative for us along with helping the greater Chicagoland community receive the eyewear they may need," said Julia Zhen, co-founder of Zenni Optical. To celebrate their new partnership, on the afternoon of Oct. 16 the Bulls and Zenni hosted more than 100 of Zenni's top Chicago area customers at a launch event in the United Center atrium, where they heard from Michael Reinsdorf and Zenni executives and enjoyed an exclusive meet & greet session with new Zenni Bulls ambassadors Zach LaVine, Lauri Markkanen and Robin Lopez. These special Zenni fans were welcomed by members of the Bulls staff and the team's mascot, Benny the Bull, all wearing Zenni glasses. They were treated to performances by Bulls entertainers, and viewed social content created for the announcement, including a video piece by Chicago artist Travis Ramos Brooks that creatively melds Zenni glasses with Bulls imagery and photos of Bulls players/fans wearing Bulls colored Zenni frames. Sharing a mutual dedication to giving back, the Bulls and Zenni will collaborate on meaningful community initiatives that will demonstrate their shared commitment to providing neighbors with resources they need. 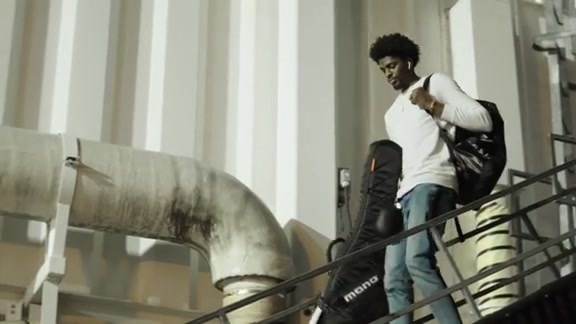 Zenni will also receive prime integration across the Bulls marketing channels, including engaging in-arena activations, branding on media interview backdrops and helping the team deliver top digital content to fans around the world, among others. The Bulls retained Excel Sports Management to assist with the jersey patch sales process.